What is Nipah Virus and how it causes infection to human beings? What is Nipah Virus and how it cause infection to human beings? Nipah Viral infection (NiV) is a newly emerging disease which is transmitted to humans through bats. In this article, I gave an account of history of this viral infection, the real causes of this infection, how this infection spreads, how this infection can be treated and checked, what care to be taken to check the spread of this infection etc. Nipah Viral infection is a newly investigated fatal infection spreading through humans by a virus called Nipah Virus (NiV). Diseases which spread from animals to humans are commonly termed as Zoonosis. This infection was first observed in Kampung Nipah of Malaysia country in the year 1998. As this disease was first observed in the location of Nipah of Malaysia, it is popularly known as Nipah viral infection. In India, Nipah viral outbreak was first observed in Siliguri of West Bengal in 2001 and Nadia district in West Bengal of the year 2007. Scientists have observed several outbreaks of of Nipah viral infection from 2001 to 2013 in Bangladesh claiming many lives. Now this infection is spread in Khozikode area of Kerala State and took away 10 lives. How Nipah Viral infection is caused and spread? The natural host of this virus is Fruit eating Bats- Pterous genus of Pteropodidae family. Scientists in India during their investigation found raw Date Palm sap tapped from the trees is the cause for the contraction of this disease to humans . The reason they found for that is the fruit eating bats also share this sap before humans tap it. This infection may also be caused if the person eats fruits partly eaten by bats or consuming the sap infected by bats. Pigs and other arboreal animals which eat the fruits which were infected by bats also will contract with this infection. So humans will get contracted with this infection through consuming infected Date Palm sap or Toddy Palm sap, by eating infected fruits, by contact with pigs or other humans who got contracted with this disease. This disease cannot be spread through air. This disease is spreading wildly like a forest fire through interpersonal contact than other methods. Nipah Viral infection mainly affects the respiratory system and Central Nervous System (CNS). The common symptoms Nipah viral infection are fever, headache, vomiting sensation, difficulty in urine discharge, drowsiness, difficulty in breathing, mental confusion, respiratory illness, disorientation etc. The major problem with this infection is Encephalitis (inflammation of the brain). The incubation period for this virus after infection is 5-14 days. 70% of the people who got fever through this viral infection are dying indicates the fatal nature of this viral infection. In India, blood samples of the strongly suspected will be sent to Pune National Institute of Virology. After analysis in the laboratory they confirm whether the person got viral infection or not. Completely avoid using fruits partly eaten by bats or fruits fallen on ground eaten partly by bats or other arboreal animals infected with this infection. Avoid using fruits fallen on ground from trees. Wash the fruits perfectly before you eat it. Keep Pigs away from residential areas since they are the intermediary hosts to spread this infection. Humans have to avoid consuming sap extracted from Date Palm trees or Toddy palms which were infected by bats through saliva or urinal excretion of bats. Kerala government now banned selling of sap tapped from Date Palm trees in Khozikode district of Kerala State where this outbreak of infection occurred. An infected person must be isolated from others since this disease spread wildly from one individual to other very easily. World Health Organization (WHO) announced Nipah viral infection is one of the most fatal disease out of the ten dangerous diseases which are prevalent in the World at present. According to WHO there is no vaccine available for Nipah (NiV) infection. The treatment for this infection at present is limited only to supportive care. The infected person must be provided with intensive care till the person got rid off the infection completely. The treatment for this infection is, the doctors will give treatment to the symptoms what they see in the patient who was contracted with this infection. A timely and exhaustive article on this deadly disease. The main precaution in such situations is to keep the patient in isolation and give symptomatic relief. The doctors and nurses have to take extreme precautions in handling such cases. Unfortunately, in many of our hospitals, some of the staff and even some doctors complete their work hastily and carelessly. The management must make a vigil on this account and be tough with the erring doctors and staff. It should be repeatedly emphasised that any carelessness on the part of doctors or staff will be very costly and their life is equally valuable as that of the patient. This is a matter of much importance because the news of the medical staff getting infected will become viral in the media and will create unnecessary fear and panic. For the past few days, we have been hearing about this Nipah virus which killed people in Kerala and also heard that it entered Karnataka and also Telangana. But our Minister for Health has denied any case has been reported positive so far and that is the good news. As there is no medicine available, we must be careful. Especially those people who are near the ancient monuments and sites where the presence of bats are more. For example in Golconda fort, we can come across so many bats resting inside the delipidated structure and it is dangerous for the tourists visiting the fort unmindful of this disease. As per the latest media reports, apparently bats are not the primary source of the Nipah virus. It is likely something else which triggered it off. Those investigating the virus attack are trying to track the travel itinerary and activities of the first victim of this virus. 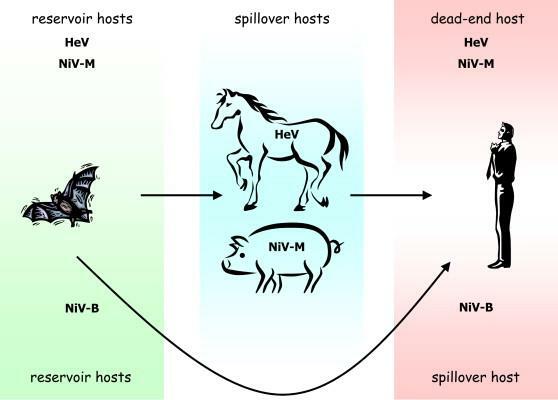 The Niv, Human Nipah Virus, is a highly pathogenic virus that triggers an infection wherein the symptoms are similar to that of brain fever. In the unfortunate event of deaths, the Government has requested the families to avoid traditional rituals that can expose the rest of the family to the virus and increase the risks. Along the lines of USA, in India we have the National Centre for Disease Control. One can visit the government website for updated and information that would be reliable. (http://www.ncdc.gov.in/index4.php?lang=1≤vel=0&linkid=113&lid=228). As of now this Nipah Virus infection is only a local occurrence. 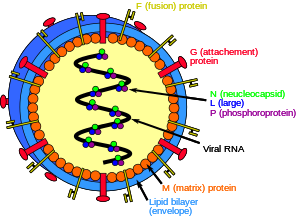 The Human Nipah virus is a very dangerous virus and it affects the brain. The symptoms of this virus are like the brain fever caused by the three deadly sisters, ie., Merberg, Ebola Sudan and Ebola Zaire. There is no known or approved treatment of the fever caused by Nipah virus. Generally, the fruit-eating bats cause this disease, but in the present cases in Kerala, the bat is not responsible. So, which animal is responsible? Can squirrel be responsible? Let the researchers investigate the squirrel. As of now, such patients should be quarantined for the safety of others. However, some researchers are saying that there is no need to panic and this deadly disease has been contained. Concluding the discussion, I must thank the author for this excellent, relevant and informative article.